86 1 Palmer 9 M PA X Nov 8, 1850, Charleston Twp., page 171, D. Dewey enum. 5 247 257 Barlow Lucius 59 M Farmer 3500 CT 1860 census, Charleston Twp., page 76. 21 Oscar 7 M PA X As recorded. Should probably be "in school". 22 249 259 Henry Nancy 41 F 2000 NY Nancy Crowl in 1860 census, Charleston Twp., page 75. 23 John E. 17 M Farmer PA 1860 census, Charleston Twp., page 62. 29 Bacon Lewis 43 M Farmer NY 1860 census, Charleston Twp., page 80. 30 Henry Amand P. 19 F PA X Amanda ? 32 Lydia J. 24 F PA Spelled "Johnston" in 1860 census, Charleston Twp., page 80. 34 251 261 Johnson Eli 33 M Farmer 1000 PA Spelled "Johnston" in 1860 census, Charleston Twp., page 80. 86B 1 253 263 Cummings Alexander 48 M M Miller PA Nov 9, 1850, Charleston Twp., page 172, D. Dewey enum. 2 R. 38 F M NY X 1860 census, Charleston Twp., page 92. 11 254 264 Austin Charles 35 M Farmer 1000 PA 1860 census, Charleston Twp., page 92. 16 255 265 Dewey William 31 M Farmer 400 PA 1860 census, Charleston Twp., page 94. 20 Baily Henry 28 M Farmer 1100 PA Should be enumerated with family #266. 30 258 268 McInroy E. 46 M Farmer 4500 Ireland 1860 census, Charleston Twp., page 96. 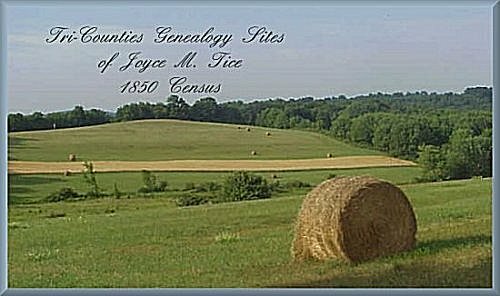 34 Dryea Reelf 26 M Farmer PA Spelled "Reeleef Duryea" in 1860 census, Charleston Twp., page 89.